by ceciliemo ~ August 20th, 2012. Filed under: café, Food news, Latest News, Lifestyle, Norway, restaurant, Rollag. Update in February 2014: The café Stasjonsfruene was closed in summer 2013. But the place is now called Rollag Stasjon – and is open to the public in the weekends – take a look at their Facebookpage: Rollag Stasjon. 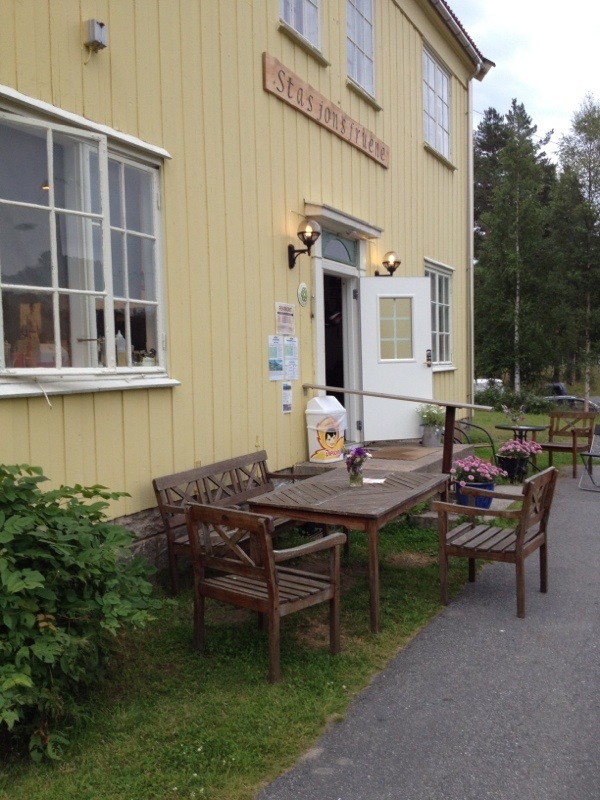 I will make a visit in the summer of 2014, and write a blogpost of the “new” place. If you are driving around the Norwegian countryside, you enjoy the beautiful scenery, but you will soon discover that it can be difficult to find a nice place to eat. Fast food-places dominates. My advice is to do some planning ahead of the trip, and take a look at a foodguide, e.g. DHL-guiden, Hanen or Ganefart. This summer we were driving through Numedal and visited a really nice place called Stasjonsfruene at Rollag, north of Kongsberg. Translated from Norwegian, “Stasjonsfruene” means “the station ladies”. 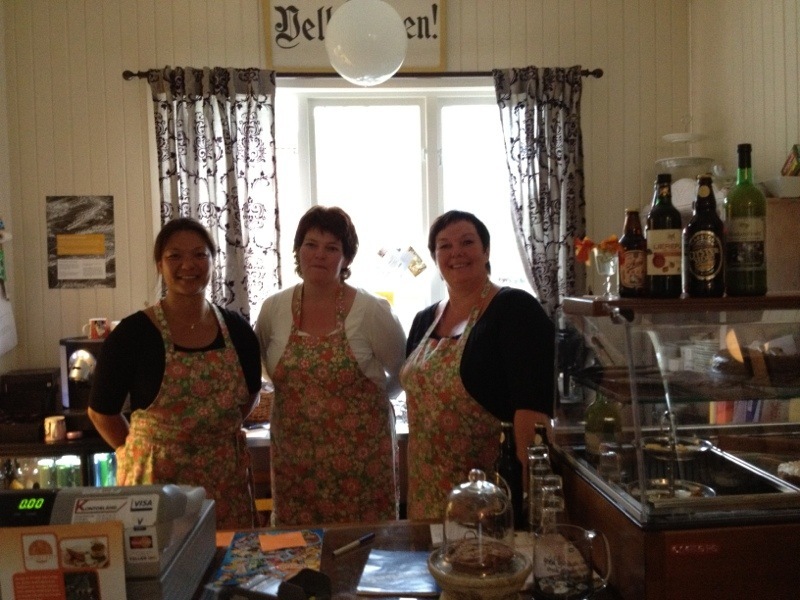 The three ladies who run the place serve homemade delicious food. 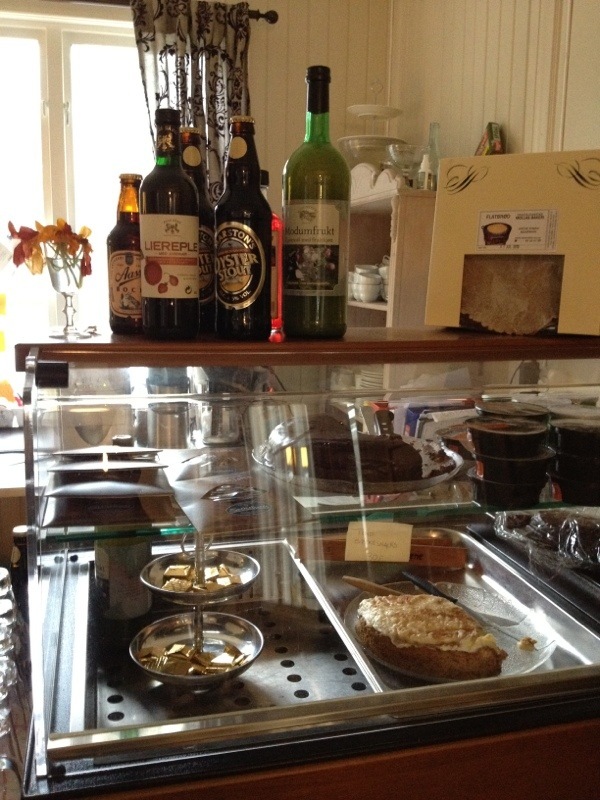 The cafe is full of charm, and is situated in an old (closed down) railway station building at Numedalsbanen. 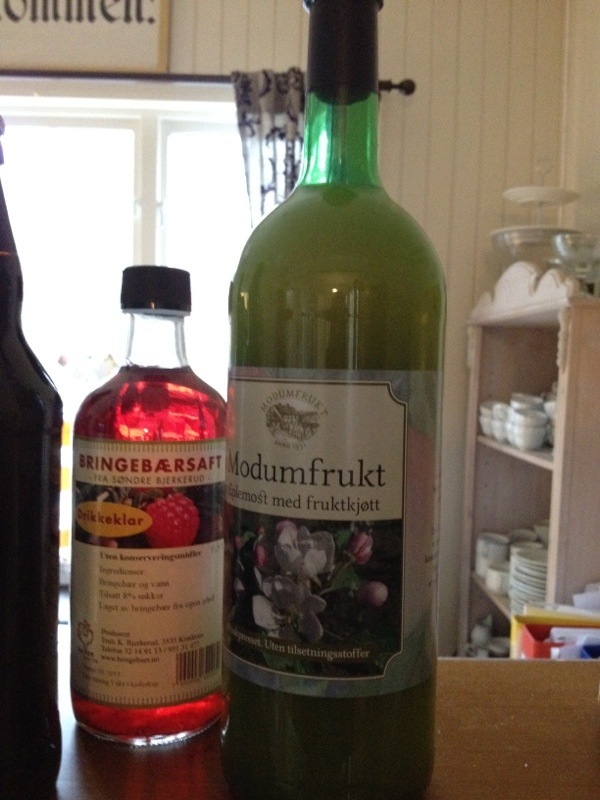 Locally produced rasberry and apple juice. 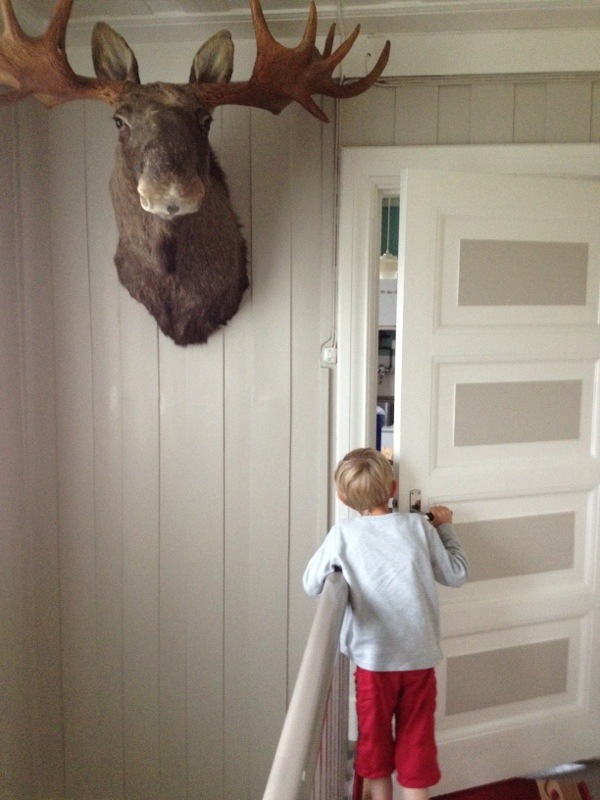 On the second floor a gigantic moose head greeted us! The moose was shot by the husband of one of the ladies. 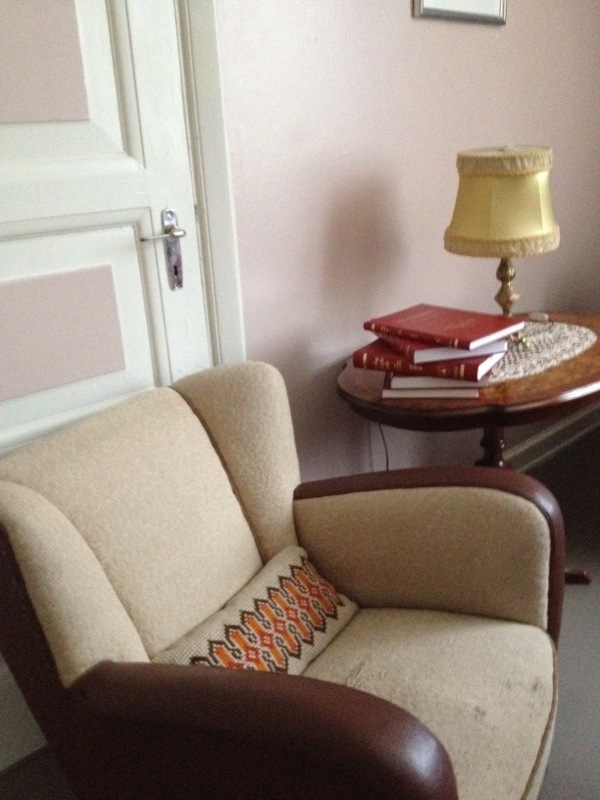 Vintage furniture on the second floor.